I’ve seen this movie twice now, and I’m still kinda shocked at how well they pulled this off. 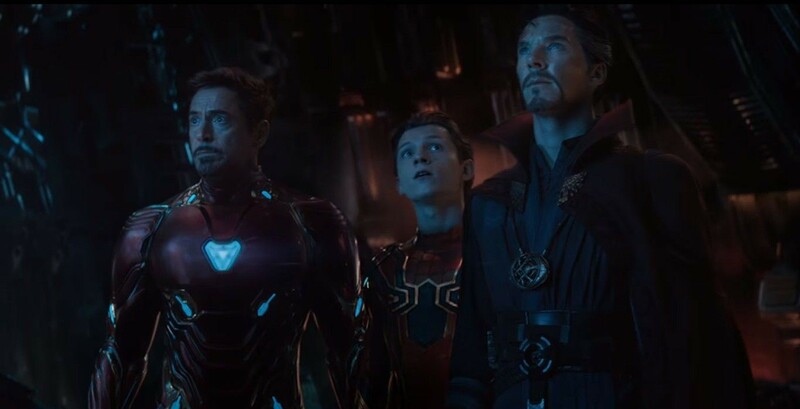 Infinity War is pretty much everything that fans could’ve wanted ever since Iron Man first teased The Avengers ten years ago in the Marvel Cinematic Universe’s first post-credits scene. 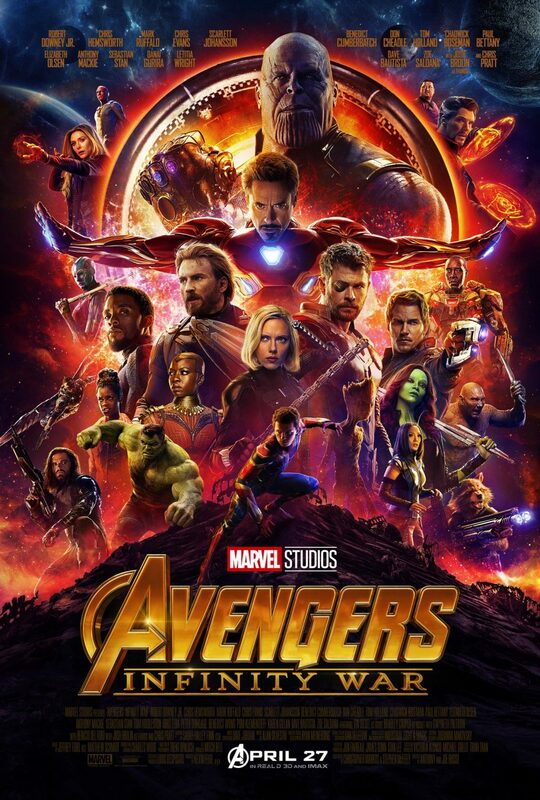 Thanos, the Mad Titan, has finally arrived in theatres, and I can tell you that, even more than a week since I saw this (twice in the same weekend…), I’m still kind of in shock at just how fantastic Infinity War was. I think it may just be another film I see three times before it releases to Blu-Ray, in fact! It’s a fairly straightforward setup that leads to a series of intersecting and splintering stories that serve largely as reasons for various heroes to interact with and partner up with one another in both familiar and previously unseen combinations while taking on a common enemy. To discuss the specifics is to provide spoilers, but I’ll just say that, if you haven’t seen it by now, know that it’s all pretty satisfying and often very entertaining to see playout. This isn’t to say that there isn’t depth, of course. I’ve long held the belief that the Avengers movies are largely about that kind of payoff, serving as long climaxes to all the films that came before them, even if it doesn’t ultimately lead to huge ramifications for the individuals. 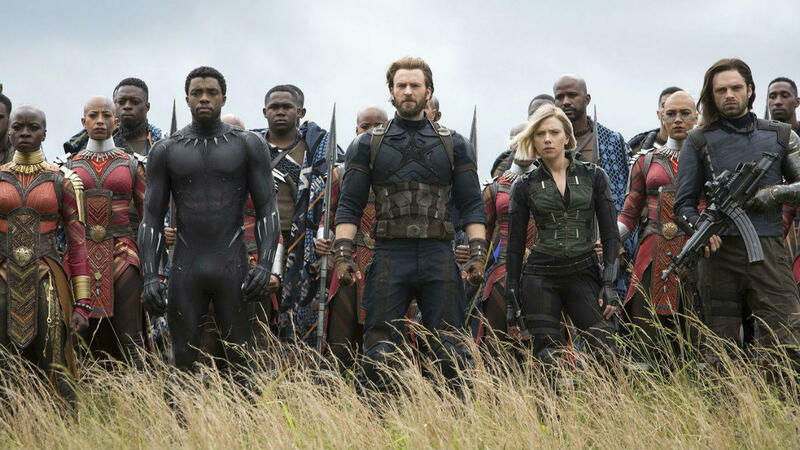 But Infinity War does have quite a bit of time to spare in its 2.5 hours of runtime to devote to certain characters’ growth as individuals, either pushing them in new directions or returning to old wounds that have yet to heal and so forth. Again, I can’t really get into the specifics without spoiling, but just… trust me, it works out far better than you’d likely have imagined when this colossal feature was first announced. Shockingly, this is almost not the heroes’ film. 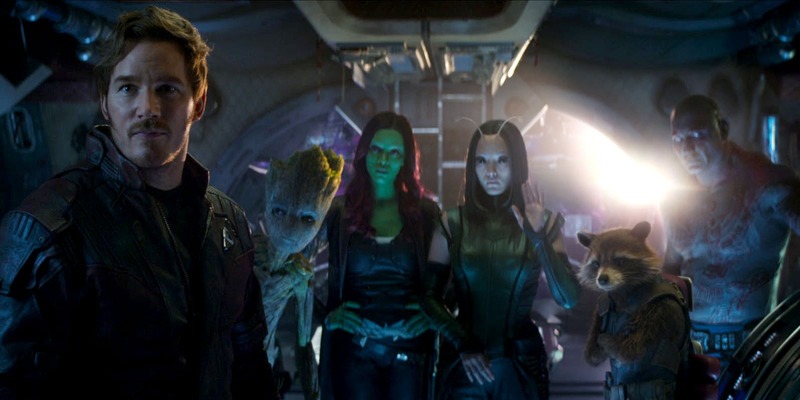 A large part of the runtime is dedicated to exploring the reasons for Thanos’ quest and giving him time to make his case. If you’re feeling particularly pragmatic and callous in these moments, you could almost swear that he has a point. I will divulge that this does not seem to be a Thanos motivated by a desire to woo the spectre of death personified, as in the comics. Here, his motivations are altruistic and almost selfless, albeit in their own twisted way. Thanos here is not an inexplicable force that kills with abandon. The film even goes out of its way to show him as being capable of his own brand of love and compassion, and while that may sound like they’ve softened him too much, this also has the effect of making his moments of abject cruelty and deliberate destruction all the more terrifying. It’s fantastic character work, and it’s not even let down by shoddy CGI and motion capture, either. 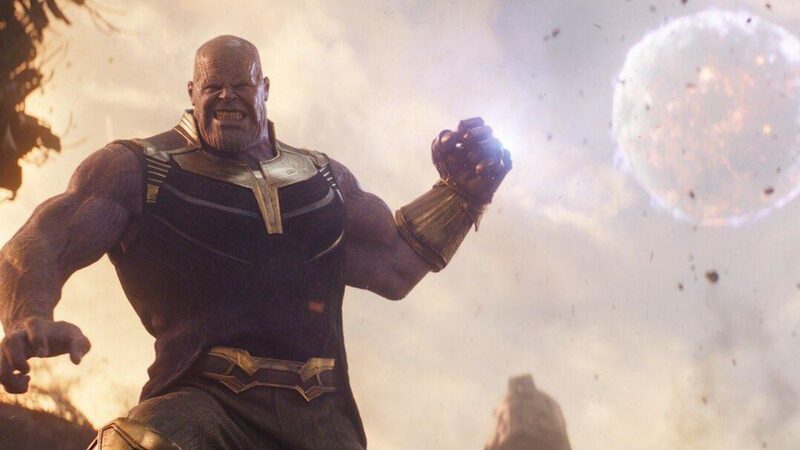 The character, as performed behind the CGI by Josh Brolin, is definitely among the best of any superhero villains and easily one of the more intimidating. If there are any sticking points I have, it’s that the film is almost too packed, and I would actually love it if this was finally the film where Disney and Marvel finally broke down and gave us an extended cut option on the home release, just to give us more to consume while also providing breaks. I don’t necessarily have any problems with the pacing, but I do kinda feel like some characters, though given their moments to shine, don’t necessarily have the impact on audiences and the story that they probably should. Thanos’ Black Order in particular feel almost like a means of extending Thanos’ reach without having him on screen rather than fully fledged characters in their own right, as well. 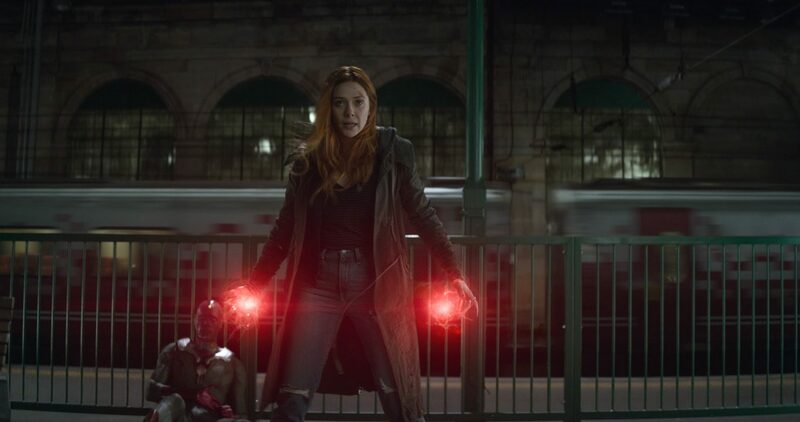 At the very least, though, characters previously underserved, particularly Scarlet Witch and Gamora, are given quite a bit more to do here than they ever had before. And this is also a film that we knew from the beginning was largely going to be a two-parter, even when they took away the “Part 1” designator and deemed “Part 2” to be worthy of its own subtitle, despite being a direct follow-up that ties up what happens here. That’s not a complaint on my part – I’m totally cool with how it turned out, and I don’t mind eagerly waiting its continuation – though I know many people have had problems with it, so consider this my “Get over it!” warning to those of you who might go in with a misguided mindset.